Thanks to Barrie Jean Borich for tagging me in The Next Big Thing, a web series of author self-interviews on the subject of recent or forthcoming books. Barrie was my mentor when I was part of the Loft Mentorship Series in 2007-08. She saw portions of my book while they were in their early stages. She’s a respected teacher of creative nonfiction and works at De Paul University. Her newest book, Body Geographic, was recently published by the University of Nebraska Press. Once tagged, we are to respond to a set of questions and post on our blogs, then we tag forward. I am tagging Sarah Stonich, an accomplished writer who recently released a critically acclaimed short story collection Vacationland (University of Minnesota Press, which makes her my “sister” in publication), and Tom Maltman, who is cementing his reputation as a sharp novelist with the recent release of his second book, Little Wolves (Soho Press). You can look for their interviews in about a week. 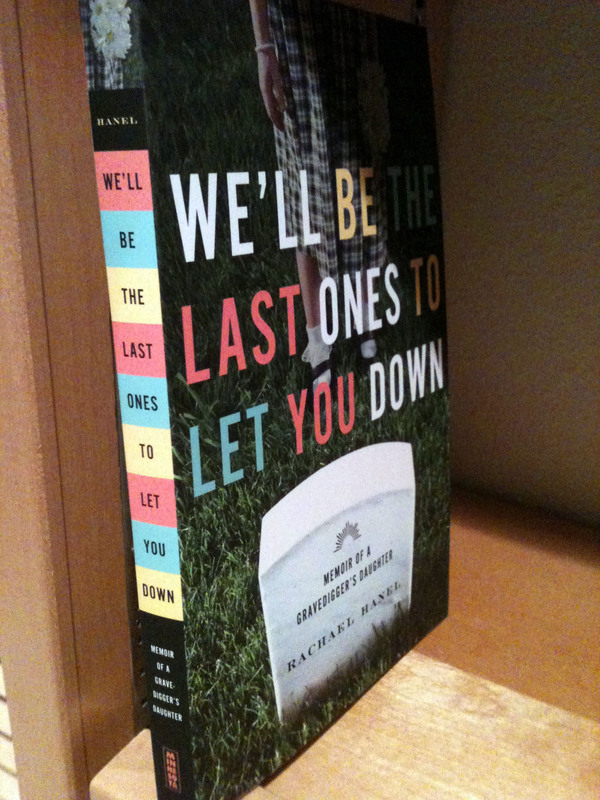 My book is titled We’ll Be the Last Ones to Let You Down: Memoir of a Gravedigger’s Daughter. Get it? I took the main title from my dad, who used it as the motto for his gravedigging business. He in turn took it from “The Life of Riley” radio and TV show, which featured an undertaker who was always spouting off puns and witticisms. My book is a memoir. Dakota Fanning used to be the go-to actor for little girl roles, but I’m not sure who is now the go-to child actor. Fanning could probably play the teenage me, I suppose. 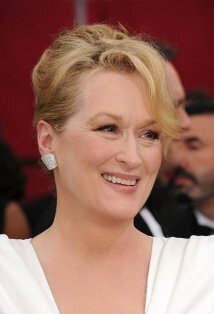 My mom wants to be played by Meryl Streep, even though for most of my book my mom is in her 30s and early 40s. But Mom says Meryl Streep is a good enough actor to pull off most any age. John C. Reilly. Who doesn’t love this guy? 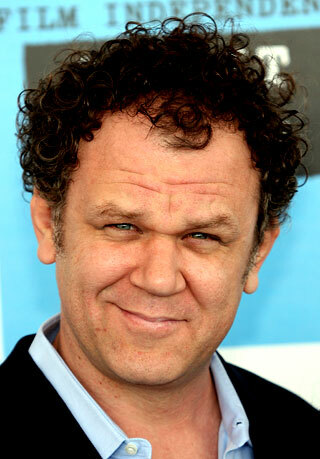 I think John C. Reilly would be perfect for the role of a gravedigger. Little girl learns about life and death through the stories that spoke to her from the cemetery. I approached the University of Minnesota Press directly, and they accepted my manuscript. First story to first draft took five years. First draft to final draft took another seven years. Thomas Lynch’s two essay collections, Bodies in Motion and At Rest and The Undertaking. Lynch is a mortician/poet in Michigan and I have not yet read a better perspective on what it’s like to work with death day in and day out. Alison Bechdel’s Fun Home. I bought Alison’s book right away because I learned her father was a part-time mortician. That is only a small slice of the book, but I was completely captivated by the way she told a story and her display of humble intelligence. In my estimation, this is a perfectly constructed memoir. Nicole Helget’s The Summer of Ordinary Ways. Helget lyrically captures the essence of small-town Minnesota, with the darkness that exists just below the surface of what seem like ordinary lives. I was a journalist for many years, trained to discern what would make a good story for readers. I had an inkling that my story was unique and would touch people on a universal level. I thought I had something that people would be interested in reading, and that inspired me to keep working on it all these years. We all are familiar with death on some level. I hope the stories of loss, life, faith and hope that are in the book will resonate with readers. Hey Rachel, INTERESTING that you went to U of Mn Press on your own – my (former) agent was unsuccessful peddling Vacationland to the big houses in NY. Out of frustration I bypassed her and went directly to the U myself. So begs the question – DOES one really need an agent? There are a lot of fantastic presses out there that don’t require writers use an agent. I always thought fiction, for the most part, needed agent representation. I suppose to get into the big houses you would need one, so it depends on the goal–is a writer dead-set on publishing at a big house? But we all know that big house doesn’t always equal success. This is wonderful, although these actors are not who I am picturing as I am reading your book! And besides my daughter already selected Dakota Fanning to play me if and when the occasion arises ;). I’m enjoying your book and would be reading it faster if I didn’t have too much going on right now with two courses which have reading. Thanks for the kind words! I just finished a memoir and it took me three weeks to read it, so I know what you mean!